With a few packs of cream cheese staring at me every time I open the refrigerator door (hello sale plus coupons! ), I've been meaning to dive in and start using them. While they do last for some time unopened, we haven't made a dessert just-for-us in awhile and I figured finding a recipe that used cream cheese would be a good start. 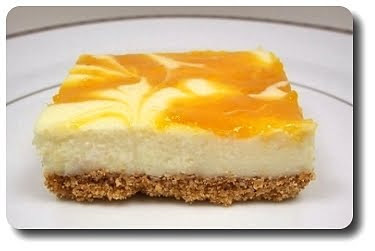 Of course cheesecake came to mind, but I wanted one a bit different... like these Apricot Cheesecake Bars! A traditional graham cracker crust as the base was what the recipe called for, which sounded like a good match as is, but I had to go and put a slight spin on it. Instead of heating the butter only to melt it, we took it a step further, letting it turn golden brown and intensely nutty. Do this on the stove slowly as it can go from nicely toasted to an unpleasant bitterness in short order - I prefer to use a stainless skillet for this as its not as easy to track in a dark nonstick skillet. I wouldn't say that you have to do this, but it did lend a welcomed complexity. Before the cheesecake filling is made, there is another step to these bars - a quick homemade apricot jam! Sliced fresh apricots, granulated sugar and a dash of salt are brought to a bubble, then left to simmer until the apricots begin to melt down and the juices turn notably shiny. To give the jam a smooth texture, the mixture is poured into a food processor and pureed with a splash of lemon juice and water. The latter is used not only as an acidic brightness, but the apricots needed a little help to buzz around in the processor. For a tangier bite to the softened cream cheese, it was whipped together with a generous scoop of sour cream before being blended with the remaining filling ingredients - sugar, vanilla and a couple room-temperature eggs. 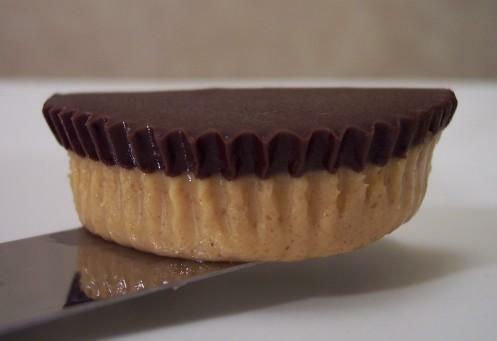 You will want to be sure that the sides and bottom of the bowl are scraped down once or twice while blending to ensure the filling will be silky smooth. 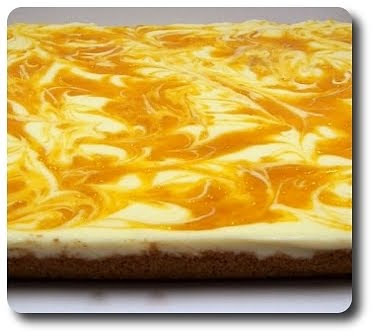 Spread over the crust, small dollops of the apricot jam are dropped over the top, then swirled in for a marbled effect. You will need to use your judgment on the jam - I held back a little as it looked like the amount would be too much, but you could certainly use every last drop. As far as baking is concerned, let this stay in the oven until the edges have puffed slightly and the center looks set, yet still has a gentle wobble to it when the pan is given a couple taps. It may feel underdone, but by the time it has sat to cool completely, with an additional couple of hours in the refrigerator, it will come out just right. What is "just right"? 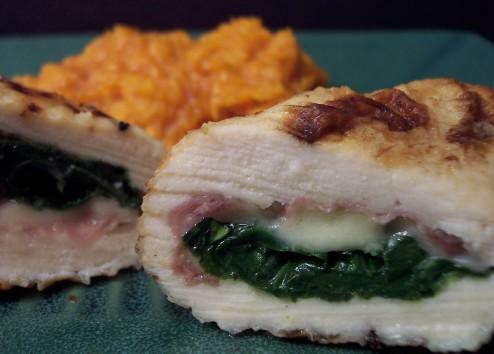 For me, the bars should be firm enough to slice, yet yield with gentle pressure from a fork - soft and luscious. The colorful smears of jewel-toned jam on top are a bit sweet, but not so much it takes away from the apricot's fresh fruitiness. You could let these hang out in the refrigerator for a couple days or stash them (cut into bars) in the freezer if you need longer storage - we did the latter and thawed two a few days later. They were just as good, though the crust did come out softer. I haven't made cheesecake bars in a while. Now I am craving them. 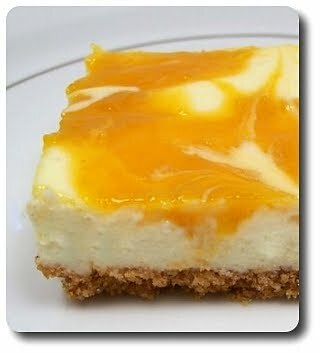 Helene - It had been awhile since we've made any kind of cheesecake too! Made these today - they are fabulous! The browned butter crust adds amazing depth. They look so pretty, too! Thanks for the recipe! Audra - Thank you for coming back with feedback!